Online Media case studies: we currently have 21. Any agency or media owner can submit case studies to our team and these 21 are the strongest we have received, with the most recent case studies at the top of this page. If you're interested in more digital marketing case studies then review our complete case study library. If you're interested in submitting case studies then email our case studies manager to find out more CaseStudies@DigitalTrainingAcademy.com. Creative Lynx were commissioned by Janssen-Cilag to create a pilot eDetail Aid for their ADHD treatment Concerta XL. The Concerta XL eDetail was developed as the centrepiece of the brand revitalisation campaign carried out by Creative Lynx.The market was becoming increasingly competitive and Janssen-Cilag needed something to give their sales force an edge over the competition. The eDetail aid delivers a unique user experience, whilst engaging interactive exercises provide audience profiling and segmentation. Complex medical data is delivered in a clear format whilst rich media content of videos, algorithms and animations encourage interaction and aid message retention. This valuable clinician insight allows the distribution of targeted promotional direct mails and ensures that follow-up presentations address specific barriers to prescribing. The rep feedback for the Concerta XL eDetail was extremely positive and the results were excellent, with a 20% increase in prescribing patterns and a significant boost to year on year sale figures. Such was the success that the project was extended to develop e-Detail aids across a range of Janssen-Cilag brands. Creative Lynx has progressed to become the lead creative agency for Concerta XL in the UK. These kids became iconic through television and online advertising. They’re instantly recognisable and their leaping eyebrows swept through the web as fast as people could forward to their friends. It’s a good example of integration between media channels because the images and music were identical across both. The images are high impact on screen and they work well on the web because of the lack of clutter within the advertising space. It becomes one of the dominant elements on the page and because of this achieves both impact, brand recognition and message association. For fast moving consumer packaged goods brands like Cadbury’s, they’re not trying to sell off the page, their goal is to build brand image, discussion and front of mind awareness. That’s exactly what this creative achieves so brilliantly – even without a click-through to their website. Derma Genesis was a new product line from L’Oréal designed to revitalize and illuminate the skin. To promote brand awareness they launched a campaign in the Malaysian market to promote the range of products. L’Oréal has a reputation for forward thinking, and this was further proven by their first foray into online advertising. Rather than “testing the waters” with a minimum buy campaign, L’Oréal decided to pull out all the stops with Derma Genesis and launched a heavyweight campaign with free samples, a video contest, interactive product information and a really integrated campaign. For consumer packaged goods firms there’s a real challenge in building both awareness and encouraging trial, but the brand achieved this with the bespoke ‘MSN Homepage skinner’ advertising format. The presence of the brand clearly caught the attention of users on the MSN Homepage and also reached Windows Live Hotmail visitors. L’Oréal spokesmodel Penelope Cruz prominently featured on the home page. A challenge Levi's have is that they compete not only intensively in store for market share amoung their target consumers, but also for the time and attention their consumers have when they are exposed to media. The brand needed to find a way to engage that would achieve cut through. Coca-Cola needed to find a way of levering a celebrity endorsement to gain cut-through in a tough market. The brand was looking for a technique of messaging that would gain real attention, connecting to the right people and in the right way. The peer referral power of viral marketing offers this promise, but in most cases proves elusive for fast moving consumer goods firms. However, this short video starring English football star Wayne Rooney - proved compelling enough for millions of people to want to send this on. It’s the kind of connection all viral marketing sets out to make but rarely delivers. This was the pioneering landmark study into optimising the media mix and the level of weight internet banners should be given. The award-winning research formed a roadmap for media-neutral planning and quantified how each marketing channel influences the consumer. It revealed how some channels are used to saturation point; while others are barely explored. Minor reductions in frequency or reach of campaigns in one media free up budgets that work harder online: same budget, better results. 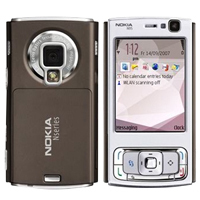 The Nokia N95 broke new ground in smartphone technology. To create advocates for the new device, Nokia turned to Microsoft to reach techsavvy target groups. Cross-media research was conducted by MetrixLab to measure how the different combinations of media affected brand metrics such as awareness, recall, imagery, message association, and purchase intent. Around 3,400 people took part in the research. For mobile operators, business and enterprise users are vital customers. But they are difficult to reach—particularly the decision makers. When KDD I brand Business au! launched the E03CA mobile phone, a rugged, secure handset that meets the needs of a business lifestyle, it had to find a way to get the message to the people that mattered—high-level executives. Microsoft Advertising had the answer. Thailand-based telecommunications company Advanced Info Service PLC (AIS) is a market leader. With traditional ad channels having less impact among tech-savvy professionals, it was time for a new approach. AIS believed that many tech-savvy Thais went online for the best deals on new mobiles. So the company wanted to try online for its latest phone and airtime package. The problem was finding a media owner with high reach who could deliver measurable results. Kleenex created a new brand story called Let It Out, which focused on breaking free from inhibitions and letting out tears, laughter, joy, frustration, and all the other things we hold back. The objective was to create an emotional connection between consumers and Kleenex and a key part of this was to encourage participation in ‘letting it out’. 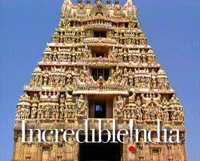 The Government of India Ministry of Tourism wanted to promote India as the destination of choice among international travellers from the United States, Europe, and Asia Pacific. The marketing strategy, which went beyond the traditional media mix, integrated online marketing so the Ministry could reach the increasing number of people who research their holiday destinations online. The Ministry understood the need for an interactive and engaging campaign to ensure message retention, as tourists choose international holiday decisions months ahead of actual travel dates. As a leading women’s lifestyle portal, handbag.com reaches over 1.5 million readers every month, delivering fresh editorial content on fashion, beauty, celebrity gossip, and much more. The brand has gone from strength to strength since it was set up in 1999 and continues to lead the market. handbag is an expanding online business with ambitious growth plans and had worked with Greenlight for over a year to develop a clear and focused paid search strategy aimed at increasing page impressions and reaching new audiences cost effectively. A series of highly targeted PPC campaigns combined with strategic consultancy on key editorial and online issues, led to an astounding 410% rise in the number of page impressions. Cost per click on all keywords has dropped by 42% on average and the ongoing fine tuning of the campaigns means that the cost per click is now far lower than targeted. The multi award-winning BMW Films project was one of those rare moments when an advertising campaign is so powerful it succeeds in changing the medium it works within. High budget, all-action and with blockbusting stars like Madonna under the stewardship of A-list directors like Ang Lee, the movies were an instant cult success. They showcased the best in movie-making, and delivered it in the context of a message of brand association BMW had carefully crafted. By creating compelling media they generated their own self-selecting audiences without the need of heavyweight media spend. The marketing model behind this campaign involves using video as a way to deliver a powerful message that's in tune with the beliefs of the target consumer. The brand is creating powerful content that it releases online in a way intended to be stumbled upon by consumers and shared between their friends. By releasing it to open platforms such as YouTube, they're implicitly inviting discussion. There can be paid-for placement in key media to extend the reach and start the process, but ideally the campaign works by the word of mouth effect. To gain accountability the brand team can track play rates to measure the number of exposures, and use qualitative and social network analysis to gain feedback about the brand sentiment. Internet marketing has the scope to be more powerful, vibrant, engaging and impactful than any other media. In Digital's case study library we've collected just a few of the thousands of great campaigns that really impressed us, but it's worth remembering that somewhere out there, in the depths of an un-targeted run-of-site campaign, the bottom-dwellers of the direct marketing industry are still subjecting internet users to ads like this one. Classified advertising firm gave its disruptive technology a boost today with a new generation release that promises a whole new way to shop classifieds. 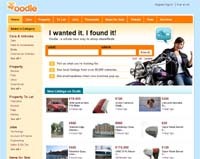 With a new suite of tools and a complete site redesign, Oodle radically improves the way consumers use classifieds, but it does this by delivering a very different model to the conventional print titles. Oodle positions itself as a whole new way to shop classifieds, bringing together more than 30 million listings from over 80,000 classified sites. Oodle sets out to improve the way people buy and sell locally by offering a more comprehensive search, supported by convenient email alerts and relevant information that gives consumers the bigger picture, helping them to make better buying decisions. Lycos has evolved from an early leader in search to the content portal that it is today. With a large registered user-base for services such as Lycos Mail, Lycos aims to monetise its audience by extending into new content areas, such as XY. XY is a new channel on Lycos, targeting a similar audience to magazines such as Zoo and Nuts. Taglab was developed PR-able content and Viral game featuring user generated content to promote the launch of Lycos UK’s new “XY” men’s channel. 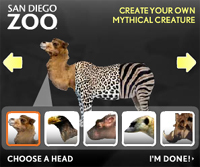 The campaign features a Flash photofit style application enabling users to combine the features of celebrity females to design the perfect woman. The images can then be sent to friends or published in an online gallery. The Big Picture is a research agency with a difference – they specialise in design. Clients include some of the world’s leading brand owners. Their website needed to appeal to a wide audience, from research buyers at major multinationals, to designers at exclusive creative agencies. Taglab developed a trio of stickmen characters, adapted from the new Big Picture logo. The site presents a series of tableau featuring these stickmen to illustrate various key aspects of the way in which consumers interact with design. As the stickmen encounter brands in everyday situations, typographic symbols appear in their heads to illustrate this interaction.